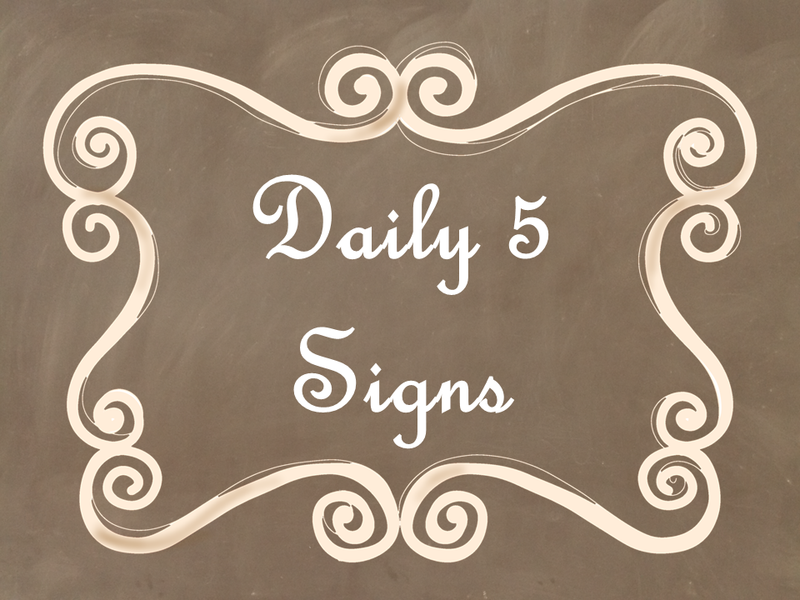 Daily 5 Signs Brown Chalkboard AD PNG | Mimi Sue Can Read! Published August 18, 2016 at 960 × 720 in NEW! Chalkboard with Curly Frames Theme! 9 Different Colors!